Students, welcome back to our soldering lessons. I see you’ve already donned your surgical gowns, gloves, and masks. Great! So, we’re back in my studio to finish up a clinical tour of my soldering setup. Now that you’ve had a week to recover from the shock of your first tour, things get easier from here, with soldering safety. OK. OK. No need to scream. 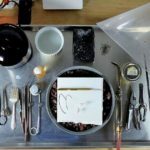 Sure, a lot of new jewelry makers are squeamish about torches, and even a seasoned pro, like myself, can experience problems. However, if you follow soldering safety protocols religiously, a professional torch is a great leap forward. If you were to slice open the tank to look inside, you’d find it full of an absorbent material like sawdust. So, nothing swishes around. It also contains water, calcium carbonate, and acetone. The bottom of the tank has tiny holes filled with metal plugs. 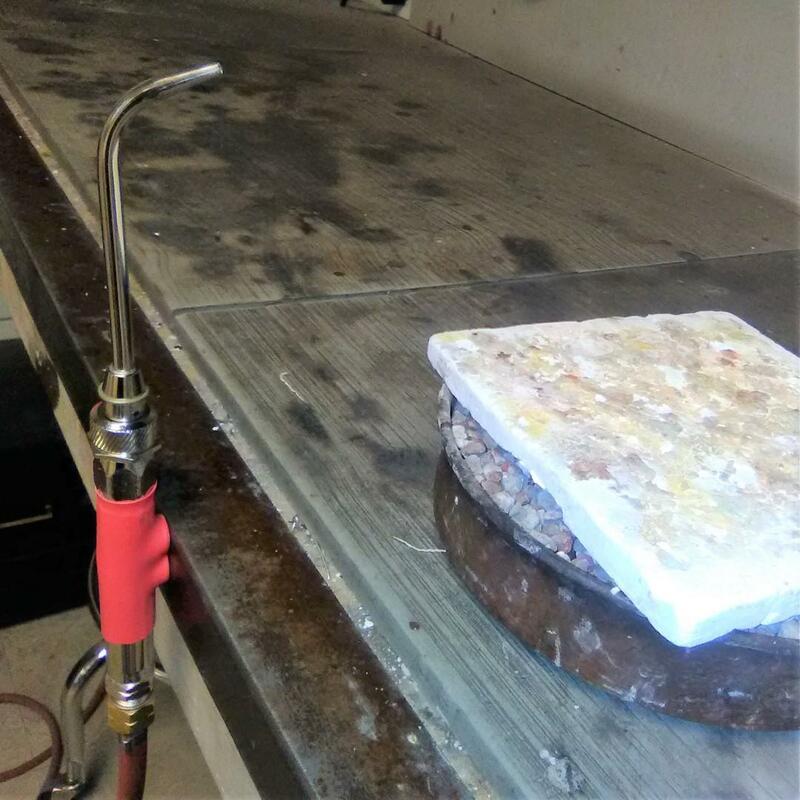 If the tank ever becomes overheated, such as in a studio fire, these small plugs melt out at 212° F to prevent the tank from exploding. The top of the tank is where the brains of the operation are. You’ll see a square valve stem usually operated by a special wrench. Or you can request a tank with a knob when ordering gas from your local welding supply company. To the threaded opening, you will be attaching your torch regulator and hose. The two-stage regulator reduces high pressure from the tank and metes it out at a consistent pressure through the hose. I’m now going to pause my lecture and bring in another expert. 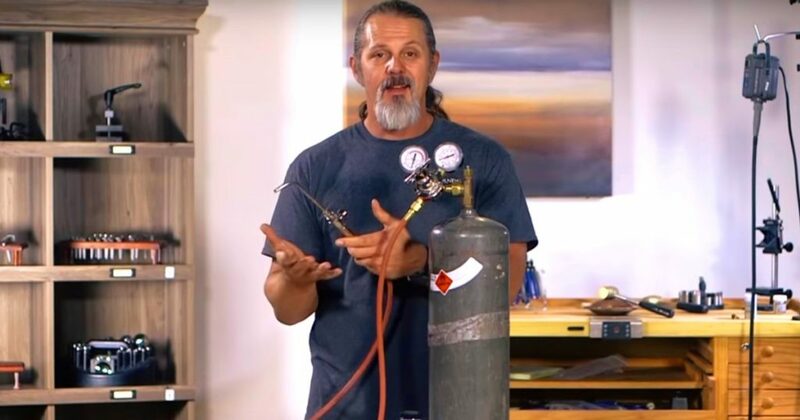 Mark Nelson of Rio Grande shows you in this YouTube video how to set up a Silver Smith torch for optimum soldering safety. This will take 8:24 minutes. Welcome back. To summarize, the right gauge basically tells you how much gas is in the tank. When it gets down to around 50 pounds, consider getting a refill. The left gauge indicates how much pressure is going through the torch. The T-shaped handle should be turned until the needle of the left gauge is between 12-14 psi, like Nelson says. It should not exceed 15 psi. To turn the tank on, rotate the knob or valve stem counter clockwise. To turn the gas off, turn the knob clockwise. I draw this on the tank with a black marker as a reminder. Setting up an acetylene torch isn’t a DIY project. Take a class in silversmithing first, or work with an experienced silversmith before setting up a professional torch in your own home studio. Strap your tank upright to a sturdy table leg or other brace. If your tank tips over, set it upright and allow the contents to settle for double the amount of time it was tipped over. Like Mark says, check for leaks after you attach your regulator to the tank. Apply a solution of soapy water to these connections and look for tiny bubbles. 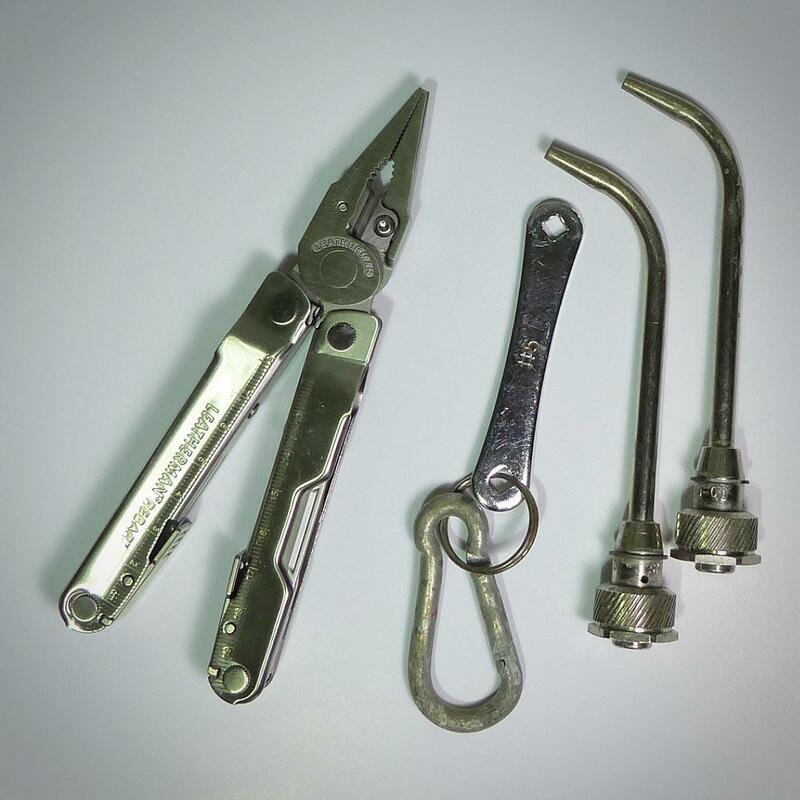 If they are present, gently tighten these connections with two well-fitting wrenches and test again until the fizzing stops. Turn off the tank at the end of your work day. To do this, light your torch, turn off the main valve, and allow the gas in the hose to burn off, bleeding the line. This can take a couple minutes. This helps to make sure the tank valve is working properly. 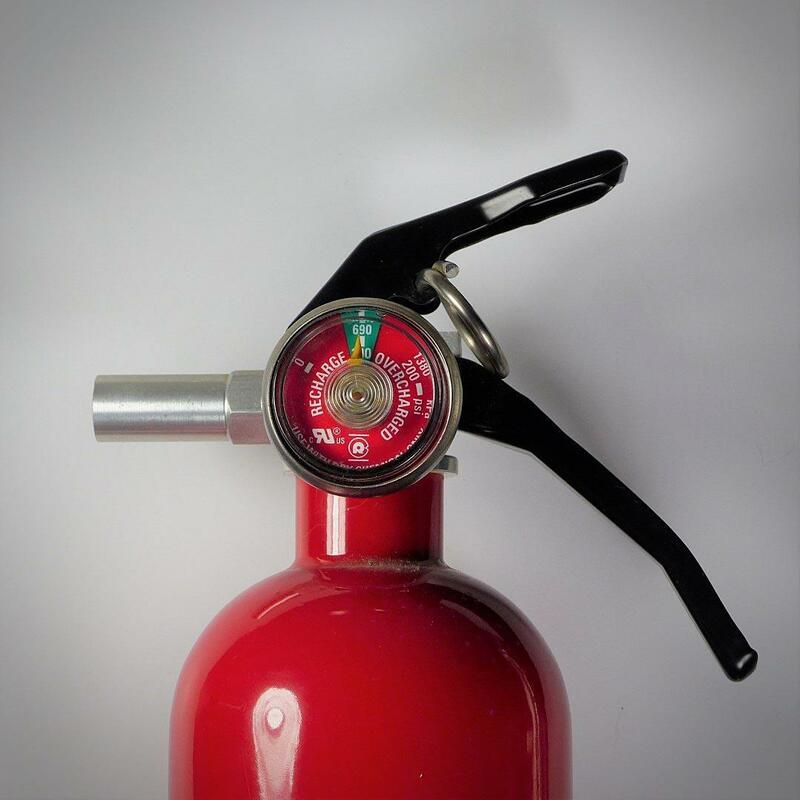 If the gas does not bleed off and the torch continues to burn, you have a bad tank valve. Return the tank for a new one. Never transport a tank by placing it inside your vehicle. A small leak happens so easily, if a valve becomes loosened or accidentally jiggled. The results are deadly if you are inside when an explosion occurs. Instead, transport the tank securely strapped upright in the back of a truck bed. Or even better, have your welding supply company deliver the tank to you. If you are just starting out, use small, handheld butane micro torches, which sell for $15 to $65. They are easy to fill with butane from your local hardware store. However, their flame often cannot be adjusted to a precision point—so it’s like using a large paint brush to etch tiny lines. A couple years ago when I was teaching a class at Metalwerx, students pointed out how the teaching assistant set up the torches. He installed a piece of steel along the edge of the soldering area. Then he slipped rubber sleeves onto the torch handles and slipped strong magnets inside. This allows the torch to be attached to the edge of the bench when lit. Saves constant relighting. Playing with Fire: Does My Torch Void My Homeowner’s Policy? It is worth asking your insurer about having a torch in your home. It’s also worth noting that the answer I got from my agent may not apply to your situation. But at least it gave me peace of mind. I asked my agent if I had a fire in my house and they found I was using an air acetylene torch, would I get money to rebuild? The torch wouldn’t be insured. Nor would my studio – because this is a business. Coverage of these items would require a separate business policy. However, my house and its contents would be covered. Did you see part one of Betsy’s soldering series, on setting up your soldering station? Keep up your soldering education with these expert resources!